Last year when I was celebrating moveable feasts on this blog I appear to have omitted Easter Sunday which is the prime moveable feast in Christianity on which most other moveable feasts hang. A serious omission for an ordained minister. Mea culpa, mea culpa, mea maxima culpa. I will rectify the omission now with some academic stuff about the name Easter and the history of celebration, followed by some thoughts on roast lamb. In Latin and Greek, the Christian celebration was, and still is, called Pascha (Greek: Πάσχα), a word derived from Aramaic פסחא (Paskha), cognate to Hebrew פֶּסַח (Pesach). The word originally denoted the Jewish festival known in English as Passover because the crucifixion happened during that festival in Jerusalem. As early as the 50s of the 1st century, Paul, writing from Ephesus to the Christians in Corinth, applied the term to the crucifixion and resurrection, and it is unlikely that the Ephesian and Corinthian Christians were the first to hear Exodus 12 interpreted as speaking about the death of Jesus, not just about the Jewish Passover ritual. In most of the non-English speaking Christian world, the feast is known by names derived from Greek and Latin Pascha. It is likely that Christians immediately after the first Easter continued to celebrate Passover (because they were Jewish), but did so in a way that celebrated Jesus’s death and resurrection. Direct evidence for a more fully formed Christian festival of Easter begins to appear in the mid-2nd century. Perhaps the earliest extant primary source referring to Easter is a Paschal homily attributed to Melito of Sardis (died c.180), which characterizes the celebration as a well-established one. The ecclesiastical historian Socrates Scholasticus (c. 380 – 439) attributes the observance of Easter by the church to the perpetuation of a Jewish Christian custom at Passover, “just as many other customs have been established”, stating that neither Jesus nor his Apostles enjoined the keeping of this or any other festival. He describes the details of Easter celebrations as deriving from local customs, but says the feast itself is universally observed. The First Council of Nicaea (325) established two rules, independence of the Jewish calendar and worldwide uniformity, which were the only rules for Easter explicitly laid down by the Council. No details for the computation were specified; these were worked out in practice, a process that took centuries and generated a number of controversies. In particular, the Council did not decree that Easter must fall on a Sunday, but this was already the practice almost everywhere. The rule of thumb is that Easter falls on the first Sunday after the first full moon after the March equinox (customarily set at March 21st ). If I were to go into detail about how this rule was interpreted, I would be writing all year. It is sufficient to say that many calendar reforms, including the Gregorian calendar, came about in order to assess the dating of Easter. 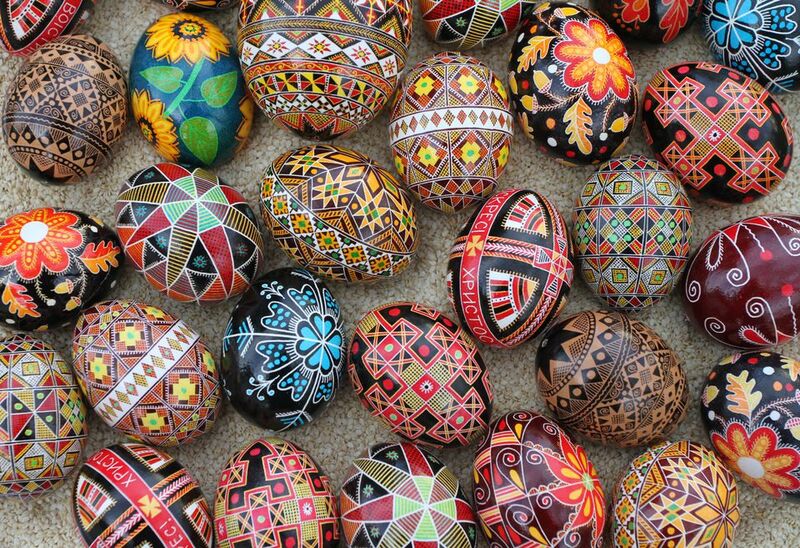 Orthodox and Western Christian Easter (Catholic and Protestant) are almost always on different days, and there is little opportunity for Passover and Easter to coincide, not least because Passover does not have to fall on a particular day of the week. 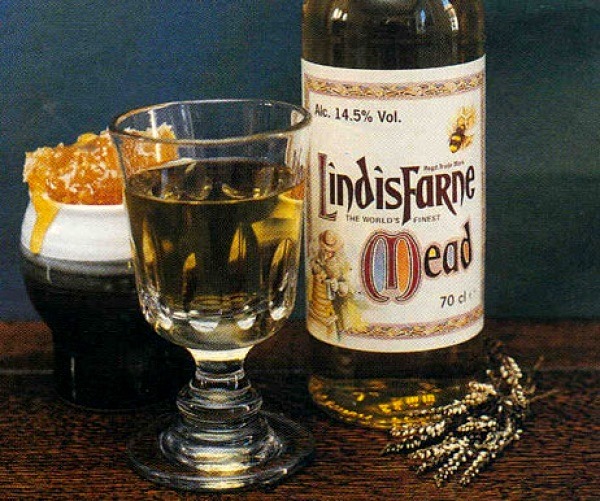 Sometimes scholars will note that the egg and the hare (not the rabbit) were considered special to the Anglo-Saxon goddess of Spring, Eostre or Ostara (who gives us the English word, Easter), and hence Easter eggs and the Easter bunny are syncretisms, much like the association of trees, mistletoe, and holly with Christmas. This is pure wishful speculation. Ēostre is attested solely by Bede in his 8th-century work The Reckoning of Time. At this point there is no way of knowing how eggs and bunnies got tied to Easter. How lamb was fixed as a traditional Easter dinner is much more obvious, but a little strange theologically. 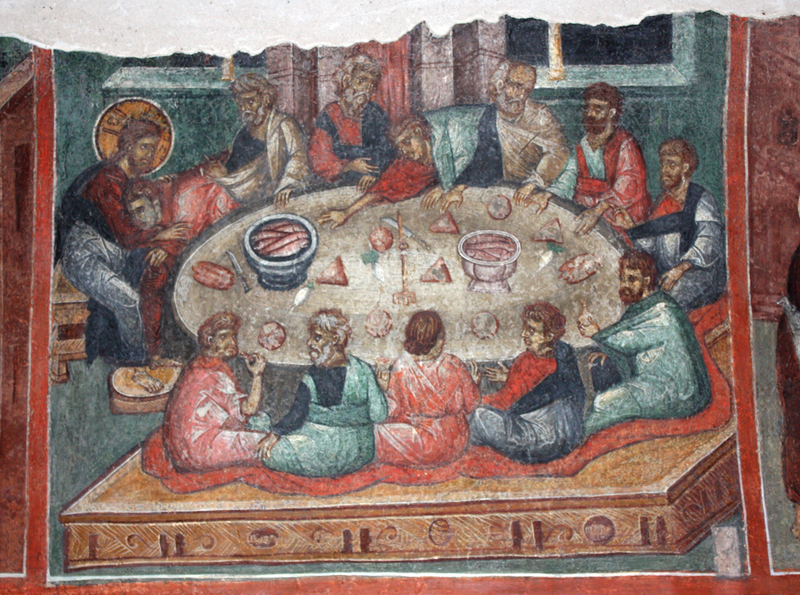 The gospels not only connect the Last Supper with the Passover meal (with lamb as the centerpiece), but John quite expressly states the Jesus is the lamb of God, sacrificed for our sins, in the same way that Passover lambs were sacrificed for individuals’ sins. So, not only are you supposed to eat and drink the body and blood of Christ at Holy Communion, but on Easter Sunday you eat the lamb also (although this is a real lamb, not the mystical one). You can make of this what you will. My family always had roast lamb on Easter Sunday, but in Australia this was nothing special because we ate roast lamb every Sunday. Lamb was cheap meat in those days, and a shoulder or leg for roasting was affordable. We ate roast chicken for special occasions, such as Christmas and birthdays. My mother would put on the roast with some potatoes before we went to church, and then have our Sunday dinner when we returned. I cannot ask her now but I suspect she roasted it at 325˚F for roughly 2 hours (10:30 am to 12:30 pm), which is overcooking by my current standards. In those days English cooks were not fond of roast meats showing any pinkness. Even nowadays, people not accustomed to cooking lamb, treat it like pork, assuming that it must be cooked all the way through to be healthy. This is rank nonsense. 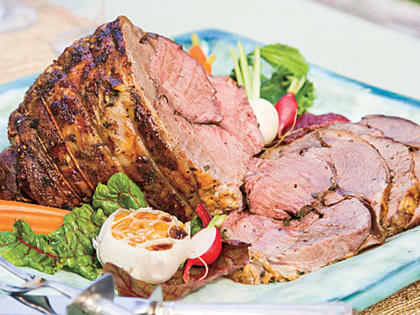 You don’t want to cook lamb as rare as roast beef, but, at minimum, the meat should be pink in the center. This way the whole roast is juicy; not dry as it is of cooked all the way through. My method of roasting lamb is not very scientific, but I think my dinner guests will attest that it is always good. Begin with the roast – a whole leg is best – at room temperature. Make sure it is as dry as possible by wiping the outer membrane with a paper towel. Take several cloves of garlic, peel them, and slice them thinly. With a very sharp paring knife, make shallow slits in the outer membrane and slide a garlic slice into each one. The slits can be as numerous as you want, but I space mine around ½ to 1 inch apart. Then coat the lamb lightly with extra virgin olive oil and sprinkle liberally with freshly ground black pepper. I heat my oven to at least 450˚F, or hotter if I can, and roast the leg for between 1 hour and 90 minutes depending on the size. The outer layer browns, and the garlic suffuses the meat. When the meat is cooked I remove it from the oven, place it on a carving platter, cover it with a foil tent, and let it rest whilst I make the gravy. This step is essential to distribute the juices throughout the meat. 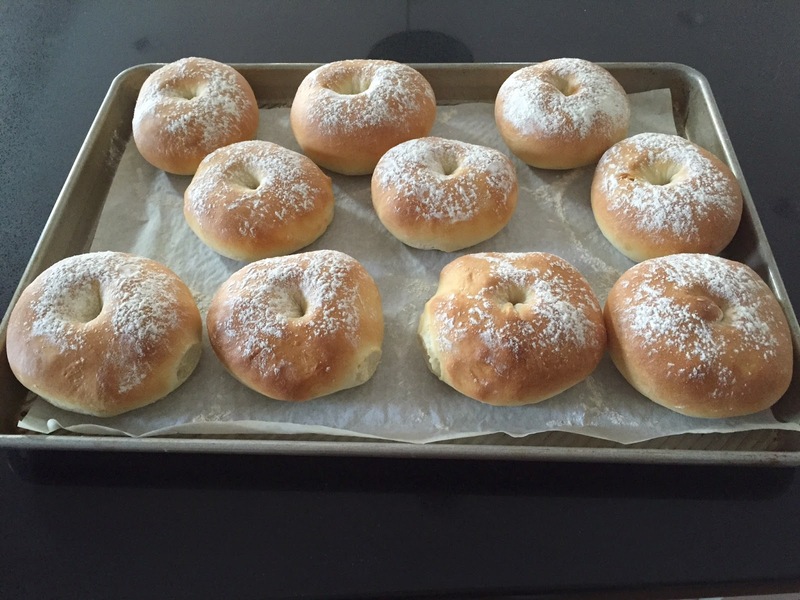 I place the roasting pan directly on the stove over medium heat and add as much flour as there is pan juices. I stir the mix with a whisk until I have a roux, and then add a little stock. As the gravy thickens – which it does very quickly – I add more stock until I have the consistency I like. Then I add fresh rosemary, and let the whole pan simmer for about 10 minutes. For variety I sometimes add grated horseradish in place of the rosemary. (Horseradish is one of the bitter herbs of Passover). For a complete Easter dinner I serve the roast leg whole and carve it at the table. For accompaniments there is the gravy and roast potatoes, which, cooked at that heat, become crisp and brown on the outside and soft on the inside. I usually also roast some whole onions, and maybe some leeks cut into 4 inch lengths, parsnips, and other root vegetables. In addition I have at least one green vegetable, preferably spinach. 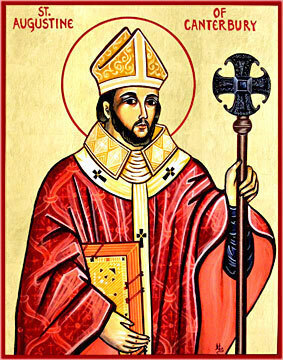 Today is the commemoration of Cædmon (fl. 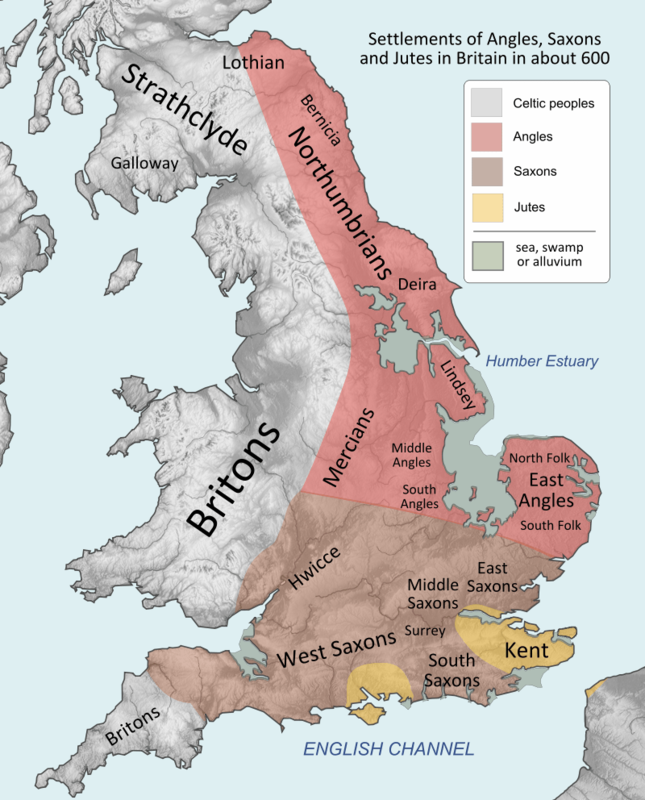 c. AD 657–684) in the Anglican communion: the earliest English poet whose name is known. 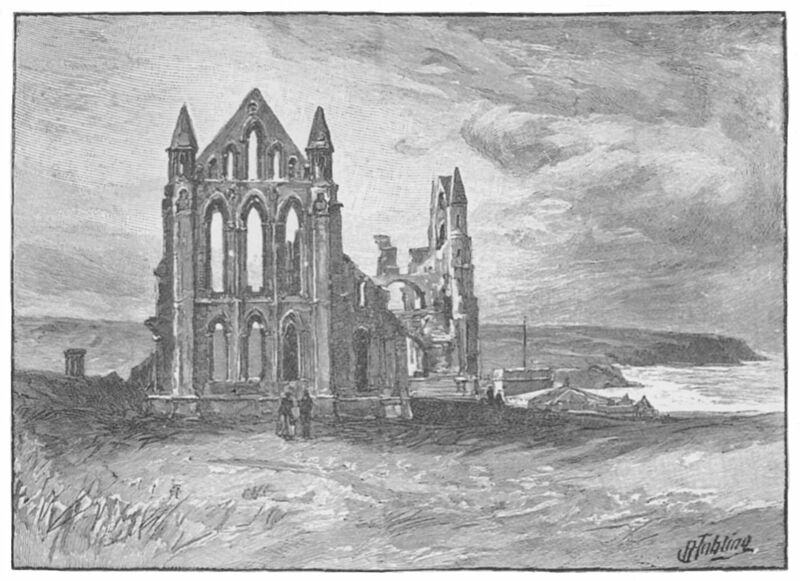 Cædmon was an Anglo-Saxon lay brother at the double monastery of Streonæshalch (Whitby Abbey) during the abbacy (657–680) of St. Hilda (614–680). 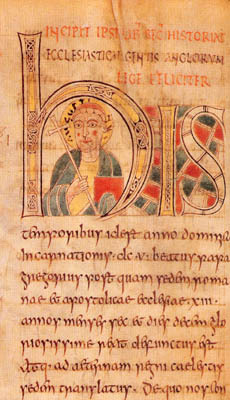 He was reputedly unaware of the “the art of song” but learned to compose one night in the course of a dream, according to the 8th-century historian Bede. He later became a zealous monk and an accomplished and inspirational Christian poet. 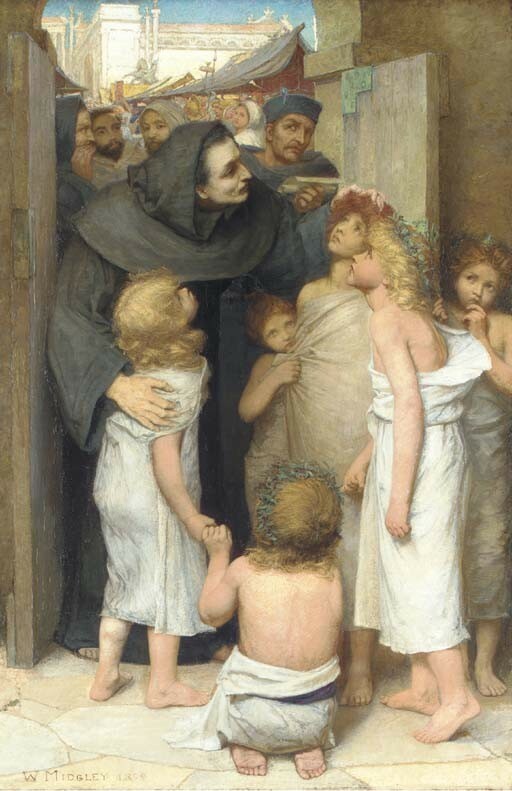 There was in the Monastery of this Abbess [St Hilda] a certain brother particularly remarkable for the Grace of God, who was wont to make religious verses, so that whatever was interpreted to him out of scripture, he soon after put the same into poetical expressions of much sweetness and humility in Old English, which was his native language. By his verse the minds of many were often excited to despise the world, and to aspire to heaven. Cædmon’s only known surviving work is Cædmon’s Hymn, the nine-line alliterative vernacular praise poem in honor of God which he supposedly learned to sing in his initial dream. The poem is one of the earliest attested examples of Old English and is, with the runic Ruthwell Cross and Franks Casket inscriptions, one of three candidates for the earliest attested example of Old English poetry. It is also one of the earliest recorded examples of sustained poetry in a Germanic language. 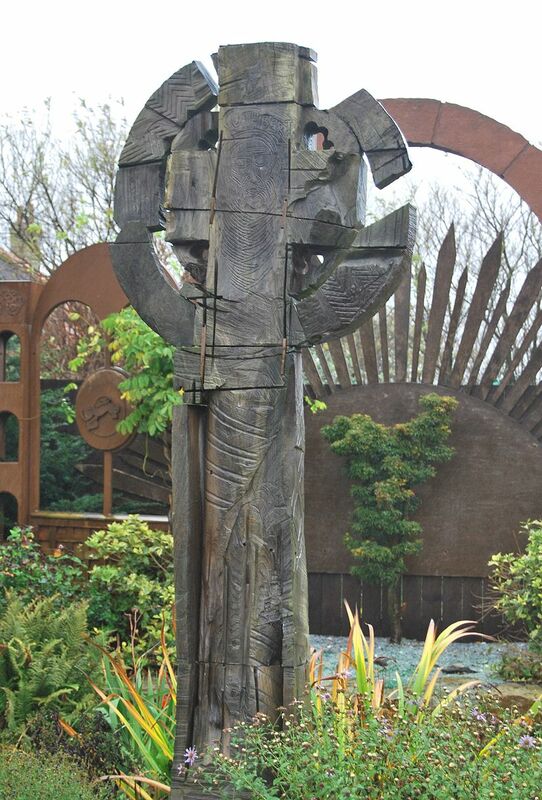 In 1898, Cædmon’s Cross was erected in his honor in the graveyard of St Mary’s Church in Whitby. 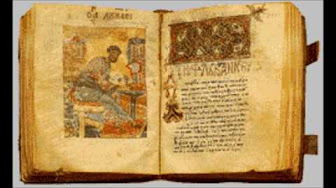 The sole source of original information about Cædmon’s life and work is Bede’s Historia. 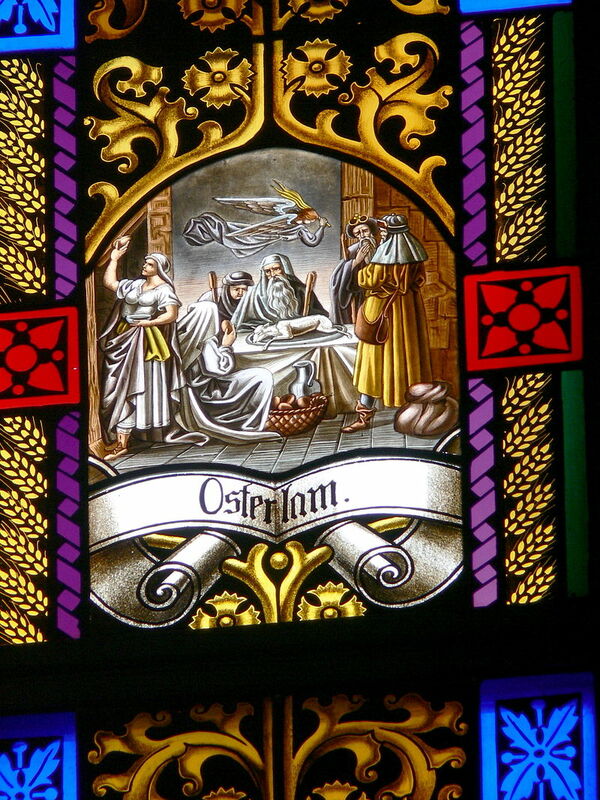 According to Bede, Cædmon was a lay brother who cared for the animals at Streonæshalch (now known as Whitby Abbey). 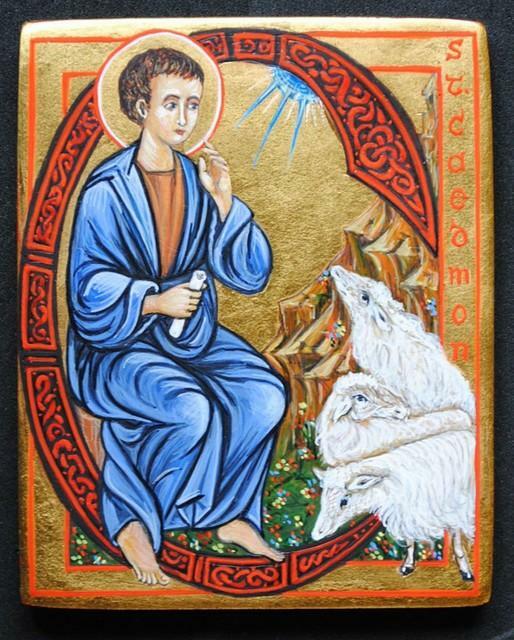 One evening, while the monks were feasting, singing, and playing a harp, Cædmon left early to sleep with the animals because he knew no songs. The impression clearly given by St. Bede is that he lacked the knowledge of how to compose the lyrics to songs. While asleep, he had a dream in which “someone” (quidam) approached him and asked him to sing principium creaturarum, “the beginning of created things.” After first refusing to sing, Cædmon subsequently produced a short eulogistic poem praising God, the Creator of heaven and earth. Upon awakening the next morning, Cædmon remembered everything he had sung and added additional lines to his poem. He told his foreman about his dream and gift and was taken immediately to see the abbess, believed to be St Hilda of Whitby. 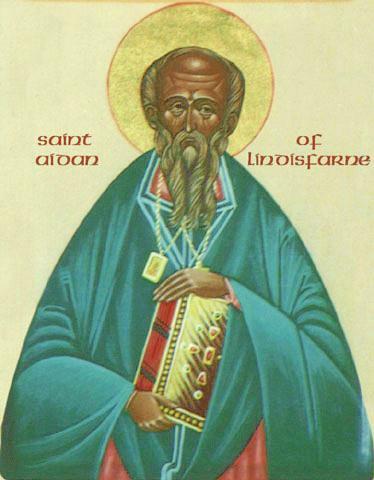 The abbess and her counselors asked Cædmon about his vision and, satisfied that it was a gift from God, gave him a new commission, this time for a poem based on “a passage of sacred history or doctrine”, by way of a test. When Cædmon returned the next morning with the requested poem, he was invited to take monastic vows. 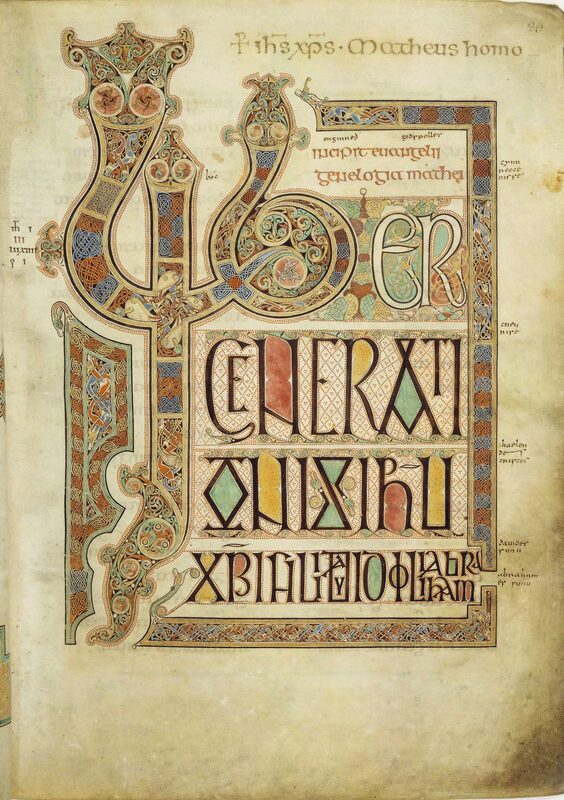 The abbess ordered her scholars to teach Cædmon sacred history and doctrine, which after a night of thought, Bede records, Cædmon turned into the most beautiful verse. According to Bede, Cædmon was responsible for a large number of splendid vernacular poetic texts on a variety of Christian topics. Here is the spoken version of Cædmon’s hymn in Northumbrian dialect (plus Modern English translation). 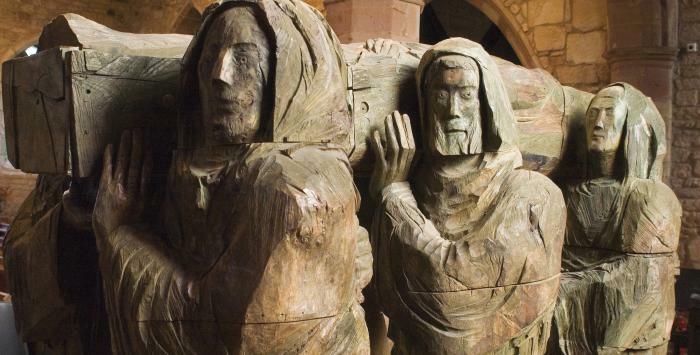 After a long and zealously pious life, Cædmon died like a saint: receiving a premonition of death, he asked to be moved to the abbey’s hospice for the terminally ill where, having gathered his friends around him, he died after receiving the Holy Eucharist, just before nocturns. Although he is often listed as a saint, this is not confirmed by Bede. 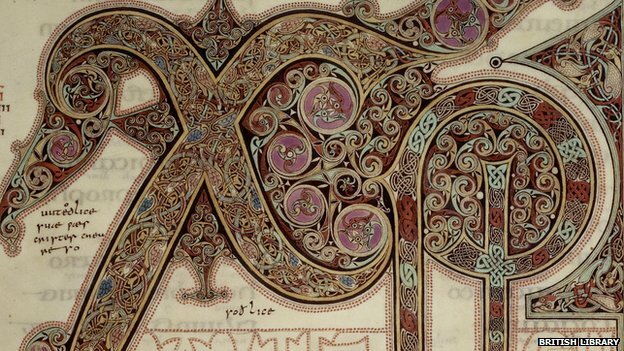 The details of Bede’s story, and in particular of the miraculous nature of Cædmon’s poetic inspiration, are not generally accepted by scholars as being entirely accurate, but there seems no good reason to doubt the existence of a poet named Cædmon. 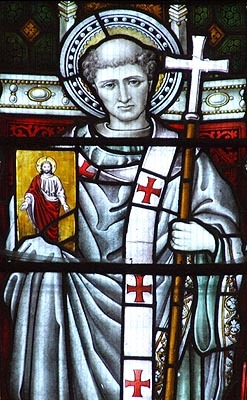 Bede’s narrative has to be read in the context of Christian belief at the time, and it shows at the very least that Bede, an educated and thoughtful man, believed Cædmon to be an important figure in the history of English intellectual and religious life. Bede gives no specific dates in his story. Cædmon is said to have taken holy orders at an advanced age and it is implied that he lived at Streonæshalch at least in part during Hilda’s abbacy (657–680). 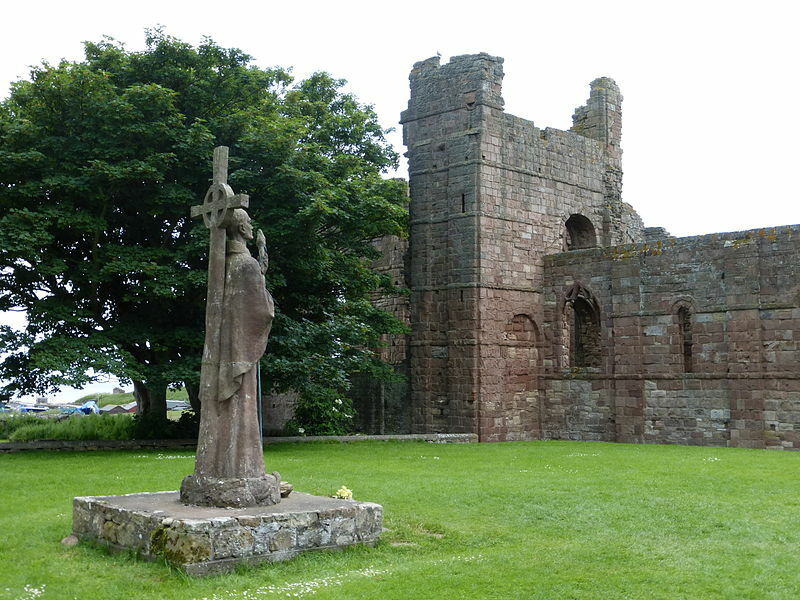 Book IV Chapter 25 of the Historia appears to suggest that Cædmon’s death occurred at about the same time as the fire at Coldingham Abbey, an event dated in the E text of the Anglo-Saxon Chronicle to 679, but after 681 by Bede. The reference to his temporibus “at this time” in the opening lines of Chapter 25 may refer more generally to Cædmon’s career as a poet. However, the next datable event in the Historia ecclesiastica is King Ecgfrith’s raid on Ireland in 684 (Book IV, Chapter 26). 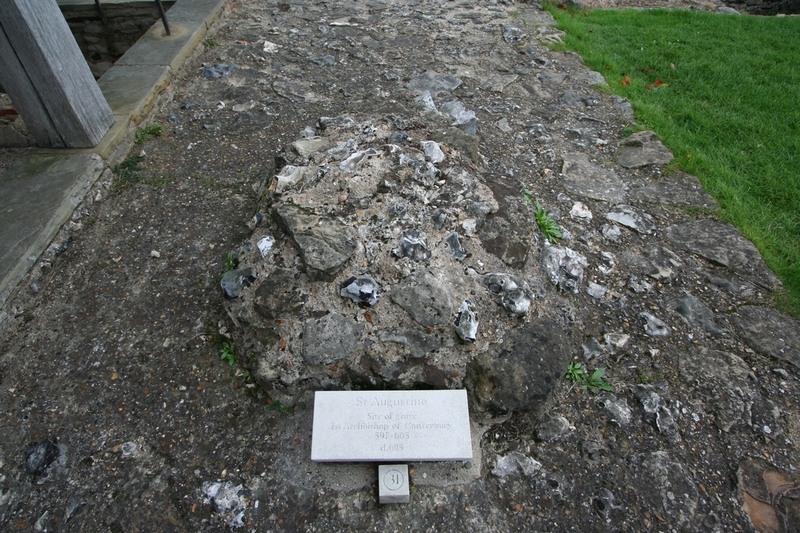 Taken together, this evidence suggests an active period beginning between 657 and 680 and ending between 679 and 684. We have no record of the music associated with Cædmon’s hymn in his lifetime, but it is sometimes put to some version of plain chant. Whitby is both a sea port and a fishing port on the Yorkshire coast in what would have been the kingdom of Northumbria in Cædmon’s day. The exact nature of a monk’s diet in the north of England in the 7th century is very difficult to specify accurately, but we can make some educated guesses. The fact that Cædmon looked after the abbey’s animals seems to point to meat being on the menu for some of the residents some of the time. Also, fish would have been readily available. We have a few recipes for fish and meat for the period, largely invented based on limited documents. We also know that they ate a lot of pottage and pease pudding in that part of the country. 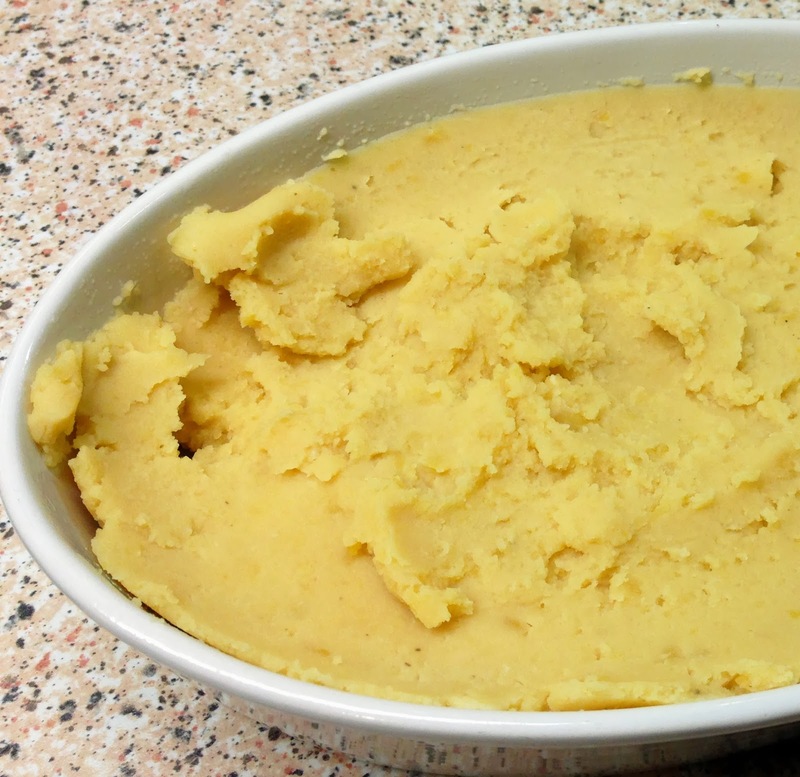 So here’s a recipe for pease pudding, which is still popular in the northeast of England. It is often touted as an acquired taste which I do not understand at all. Drain the soaked yellow peas and put them into a saucepan. Add the onion, carrot, bay leaves, and cover with cold water. Bring the peas to the boil, once boiling, lower the heat and simmer gently for an hour or until the peas are tender. Occasionally skim off any scum that rises to the surface. Remove the onion, carrot, and bay leaves from the pan and then tip the peas into a blender or food processor. Pulse to a thick puree but do not blend all the way until smooth. The peas should be a little chunky. Pour the peas into a clean pan. Add the malt vinegar and season to taste with salt and pepper. Gradually beat in the butter a cube at a time. Keep the pease pudding warm until ready to serve. The pudding will thicken as it cools and thins again when hot. 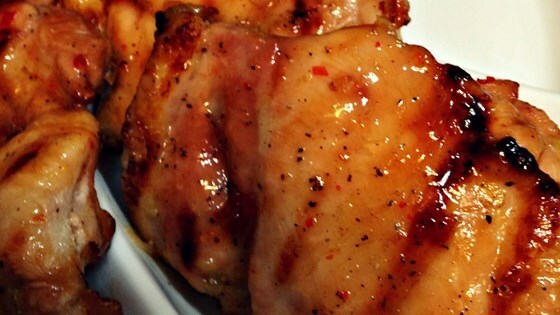 Serve with ham steaks or fish.